It is 50 years since the Vostok-6 rocket took Valentina Tereshkova to orbit, making her the first ever female to conquer space. RT brings the reconstructed timeline of the Russian's historic mission. The selection of candidates for the mission began in early 1962. The first female cosmonaut had to meet certain criteria: a parachute jumper, younger than 30, less than 170 cm (5’ 7”) tall, and less than 70kg (154lbs). Finally, out of several hundred candidates, five were selected, including 26-year-old Valentina Tereshkova – a regional champion in skydiving who had 90 jumps under her belt. On March 12, 1962, Tereshkova became a member of the cosmonaut corps and, along with the other four candidates, began months of tough training which included days spent in the complete silence of a soundproof chamber, zero-gravity tests and exhausting exercises in a heat chamber. Tereshkova was last on the list of the candidates, but in the 1960s, political factors mattered a lot, and it was the “proletarian” background, which scored her points. On June 16, 1963, Tereshkova became the first woman in space. She spent almost three days (70 hours 50 minutes) on the Vostok-6 spacecraft, which was launched from Baikonur Cosmodrome, in present-day Kazakhstan. She orbited the earth 49 times. Another Soviet spacecraft, Vostok-5 piloted by Valery Bykovsky, was in space at the same time. RT reconstructed the timeline of Tereshkova’s historic flight, based on open sources, Tereshkova’s after-mission report and interviews, and the published diaries of Nikolay Kamanin, assistant commander-in-chief of the Air Force for space missions from 1960 to 1971, who supervised cosmonauts' training. 11:20 MSK: The Vostok-6 space capsule safely landed near Baevo, in Altai, 620 km north-east of Karaganda. “Both space craft landed 2 degrees north of the estimated landing point,” Kamanin recalled. According to Rossiyskaya Gazeta newspaper, Tereshkova’s landing was quite harsh. The space capsule was shaped like a ball, so it didn’t have the lift-to-drag ratio. Her descent had a ballistic trajectory; therefore the first female cosmonauts had to deal with a wide landing radius. Also they were ejected at 7 km, but the space capsule parachute deployed only at 4 km. Tereshkova also remembers that it was very windy. “I had to remove the locks and unstrap the parachute. But it was impossible to control it, the canopy was huge, and the harness lines – very long. I was carried by the wind. So I had to ‘stand on my head’ for a little bit, finally I unstrapped the parachute, but ended up with a big bruise on my nose,” she recalled. “Doctors had to conceal this bruise, because the beautiful lady wouldn’t look good in front of all the bosses with a shiner,” Tereshkova explained. Some sources also claim that Tereshkova was almost unconscious when she landed. The woman was immediately transported to a hospital in Moscow. In the evening, the doctors reported that she was out of the woods health wise. So the next day they reenacted the landing and filmed it. They put Tereshkova in the capsule and actors played the people running up to it. One of the actors opened the capsule, and Tereshkova was sitting there, smiling. This footage was then shown all over the world. 09:39 MSK:A command to activate the automatic landing cycle was sent to Vostok-6 spacecraft. ‘Seagull’ performed manual orientation for landing and was maintaining the spacecraft in this position for 15 minutes. “Tereshkova was extremely pleased and reported she had gotten through with her attitude control task,” Kamanin recalled. 10:00 MSK: Baikonur has started preparing all the data for the landings of both Vostoks. It was decided that Seagull will land on the 49th pass through the orbit, and Hawk – on the 82nd. Even though by the third day in space, Tereshkova was exhausted, she would not admit that. The mission control center tried to reach her for the last communication session before landing, but she would not receive calls. When the ground team turned the camera on, they found her asleep and had to wake her up to discuss upcoming landing and manual orientation. Tereshkova had tried orienting the spacecraft manually once, but then honestly admitted she had failed to do that. She was trying to turn Vostok-6 towards the Earth, but each time it would face the opposite direction. It aroused great concerns, as in case automatic orientation breaks down, returning the spaceship to the Earth would become impossible. Tereshkova had been keeping silent about that emergency situation on board for many years. Just last week, she finally made public that there was an error in the control program that made the spaceship ascend from orbit instead of descending. She reported it to the MCC. “I entered the data that I got from the Earth into the program,” she told the journalists last week. Later, after the successful landing, Sergey Korolyov came up to her and asked, as Valentina recalls: “My little Chayka, please, don’t tell anybody about that”. And she did not, for decades. 10:07 MSK: Vostok-6 flew from North-West to South-East over the cosmonauts’ house at Baikonur and two communication sessions with Tereshkova were held. Tereshkova’s report: "Working with the equipment is hard: I couldn’t reach the globe and other devices, so I had to loosen the harness. I was filming cities, clouds and the Moon. Filming and simultaneously putting down what you see is extremely difficult. I haven’t carried out biological tests as I failed to get the samples." The zero gravity did not cause any discomfort for the cosmonaut. 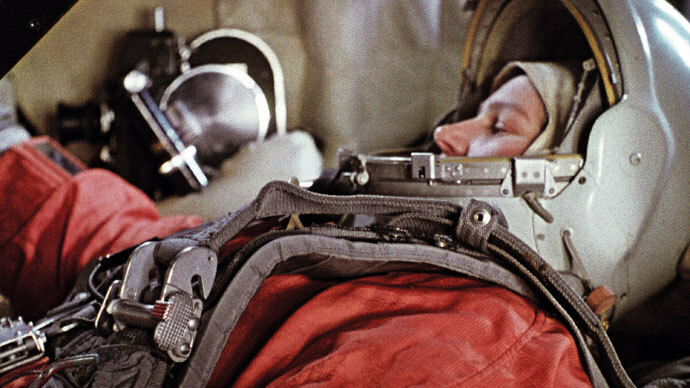 “My hands were floating in the air, so I felt like putting them away under the harness, and during training I felt like leaning against the chair,” Tereshkova said later, in her report. Food in tubes, though, appeared to be quite a challenge. "The bread is stale – I didn’t eat it. I was craving for black bread, potatoes and onions. The water is chilly and pleasant. Juices and beefsteaks were also fine. I vomited once, but that was not because of vestibular disturbance, that was because of the food," Tereshkova wrote. Tereshkova didn’t keep the logbook as her two pencils had broken. 22:00 MSK: Tereshkova talked to Soviet leader, Nikita Khrushchev, and reported to him on the mission. "The Vostok-6 launch was a very smooth one. We had good connection and I could hear all the commands. The gravity load was easy to bear… As the ship went into zero gravity, I had no painful sensations. I established connection with Hawk in the shadow of the Earth. I saw a star that shone three times as bright as Vega and I took it for Vostok-5." On the same day, the cosmonaut noticed a mistake in the automatic navigation software: the spacecraft was moving further and further from the planet, instead of slowly going down towards it. She reported that to the ground. 12:30 MSK: The Vostok-6 ship is successfully launched and orbited. The lady was presented with a flower bouquet, which she immediately handed over to Korolyov. 11:00 MSK: Tereshkova put on her space suit. The medical check-up was also performed and it went well. Walking up the stairs, to get into the spacecraft was pretty difficult in a heavy spacesuit. That is not to mention the jitters: Tereshkova’s pulse was at 140 beats per minute as she was entering the ship. Once on board, it took her some ten to fifteen minutes to establish radio connection with the ground and then she reported on the equipment check-up. On the day of the flight, Tereshkova told her family that she was leaving to take part in a parachuting contest – up until the successful launch the entire mission was classified. Her mother only learnt about her heroic daughter on the radio. 19:00 MSK: The pre-launch team and space industry officials meet with the Vostok-6 crew. Everyone brought Tereshkova flowers and wished her a safe flight. After the meeting, the girls changed to casual clothes and together with Sergey Korolyov went on board Vostok-6. At night Tereshkova and Solovyova went to the cosmonauts’ house and started to prepare for the launch. 17:00 MSK: Tereshkova meets the pre-launch team. Moscow decides to keep it secret that Tereshkova is an army officer in the first media report about her mission and it was decided that she must be wearing civilian clothes. In the morning Vostok-6 was placed on the launch pad at Baikonur. The launch of the craft is scheduled for June 16, 12:30 Moscow time. 17:00 MSK: Vostok-5 was launched, piloted by Valery Bykovsky, code name Yastreb (Hawk). The flight would continue for about five days, with the cosmonaut landing successfully on June 19, after making 82 orbit passes. He would set a record of space flight duration. During the flight, the pilot would manage various systems of the spacecraft, establish radio connection with the Earth and between the ships and, also, conduct scientific research, mainly focused on how a human body changes in space. 22:30 MSK: The launch of Vostok-5 got cancelled due to a series of strong solar flares. It means that radiation in space may rise to a dangerous level for the pilot. It’s the first time a launch is canceled. 09:00 MSK: Vostok-5 ship was prepared for the launch. On the very same day, the cosmonauts and the pre-launch team took a motorboat trip along the Syr Darya River and cooked fish soup together. 17:00 MSK: The State Space Commission meeting. 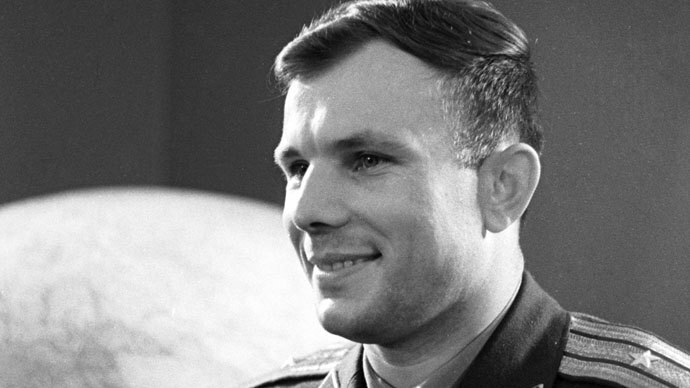 The chairman of the commission suddenly asked a question: ‘Should we mention that Tereshkova is an officer when we first announce her flight?” The majority supported introducing her as the Air Force Officer. It was decided to launch Vostok-6 with a female cosmonaut two days after the launch of Vostok-5 piloted by a male cosmonaut. Under the plan, the man was to spend two days in space alone; then both craft would stay together for three days and land at the same time. The same day, Tereshkova boarded her Vostok-6 and examined the craft and its equipment together with the lead engineer. “Tereshkova makes a very good impression on everyone. She treats people equally; she is full of tact and dignity,” Nikolay Kamanin, the man in charge of cosmonauts training, recalled in his diaries. Kamanin held a training session with all cosmonauts, doctors and other specialists to ensure a common understanding of 37 instructions that everyone – both on Earth and in orbit – were obliged to know. The teams also agreed to introduce code words that could be used in open radio talks during the flights. For instance, when a cosmonaut reports that “I am feeling fine, the spacecraft’s equipment is working fine” it means a space mission should continue as normal as there are no concerns about health or equipment. When they say “well” instead of “fine” it would mean that a cosmonaut is not really sure they would be able to complete their mission. The word “satisfactory” in a report would mean that the flight should be terminated. The State Space Commission held a meeting on launching the Vostoks spacecraft – their readiness to go into orbit and flight missions. At the gathering, Jr. Lt. Tereshkova was approved to pilot Vostok-6, and Major Bykovsky – Vostok-5. 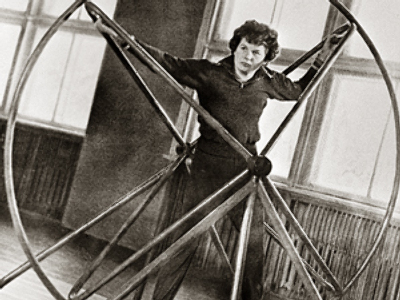 09:00 AM: Tereshkova, Solovyova and Ponomaryova start trying on their spacesuits and adjusting harnesses and chairs. Tereshkova’s code name was Chaika, or Seagull in Russian, and there was a picture of the bird embroidered on the shoulder of her heat-protective suit. 10:00 MSK: Tereshkova, her back-ups Irina Solovyova and Valentina Ponomaryova, and a group of 35 people including the first spaceman Yuri Gagarin arrived at Baikonur space launch facility by Antoshin AN-10 plane. Sergey Korolyov and others met them at the site.